The Inter-American Court of Human Rights condemned Brazil for its negligence in investigating, prosecuting, and punishing those guilty of torture and murder of journalist Vladimir Herzog in 1975, in the context of the country's military dictatorship. In a ruling of March 15, 2018, released on July 4, the Court also found Brazil guilty for the application of the so-called "Amnesty Law,” as well as for violating the Herzog family's right to "to know the truth" and its integrity, according to a release from the Inter-American Court. According to the Court, on Oct. 25, 1975, Herzog was deprived of his liberty, interrogated, tortured and murdered "in a systematic and generalized context of attacks against the civilian population considered as 'opposition' to the Brazilian dictatorship, and, in particular, against journalists and members of the Brazilian Communist Party. " Herzog, born in the former Yugoslavia (what is now Croatia), arrived in Brazil when he was 9 years old. In addition to being a journalist, he was also a member of the Brazilian Communist Party (PCB, for its initials in Portuguese). Although he and his wife left for London after the coup d'état (1964), they returned to Brazil in 1968. There he worked as a cultural editor for Visão magazine, and in 1972 he went on to work for the program Hora de Noticia on the TV channel Cultura , where he later assumed the position of director of the department of journalism, according to the Court. In accordance with the facts established in the Court’s judgment, on the night of Oct. 24, 1975, agents of the Department of Internal Operations and the Center for Internal Defense Operations seized the channel, and intimidated the journalist to accompany them for an interrogation. However, they accepted that the journalist would appear voluntarily the next morning. Herzog arrived voluntarily before the authorities the next day, but there "he was deprived of his freedom, interrogated and tortured," according to the Court. The sentence accounts for testimonies of other detained journalists who claimed to have heard how the authorities requested to use the pimentinha (a machine to give electric shocks), as well as the screams of Herzog, which subsequently ceased. The Court notes that according to an expert opinion of the National Truth Commission, the 38-year-old journalist was strangled that same afternoon. That same day, the Second Army Command gave the official version of the events in which it claimed that Herzog had committed suicide "with a strip of cloth," according to the ruling. In the statement, the Army said that the journalist confessed to being a member of the PCB after a face-to-face with other detained journalists, and that an expert confirmed the death by suicide. His death generated a large social mobilization and protests that forced the General Commander of the Second Army to open an investigation into the "circumstances of the suicide of journalist Vladimir Herzog," according to the Court. However, this investigation confirmed the official version by determining that the Herzog death occurred by "suicide by hanging". "The falsity in the autopsies on the part of the physicians of the security forces has been reported as a constant during the Brazilian military dictatorship," the ruling says. The family entered a judicial battle seeking the truth. In 2012, the Justice of São Paulo rectified the reason for the death of Herzog as being a "death that was due to injuries and abuse suffered in the dependence of the Second Army of San Pablo (DOI-CODI)," according to the Anadolu Agency. 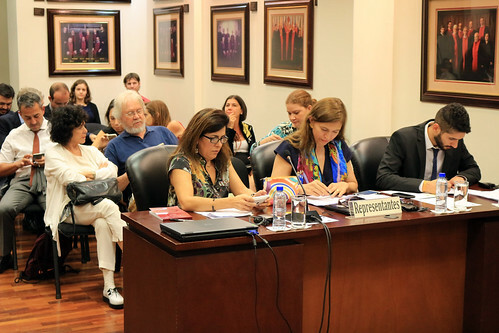 Brazil acknowledged before the Inter-American Court that the imprisonment, torture and death of the journalist caused his family members "severe pain." "Although Brazil has undertaken various efforts to satisfy the right to the truth of Mr. Herzog's family and of society in general, the lack of judicial clarification, the absence of individual sanctions in relation to the torture and murder of Vladimir Herzog, (...) violated the right to know the truth to the detriment of Zora, Clarice, André and Ivo Herzog," (mother, wife and children of the journalist), the sentence established. "43 years ago I lost my father. Murdered violently. A person of peace, who liked to fish, photograph the family, and astronomy. I was 9 years old, my brother 7 and my mother 34. He died for wishing that everyone had the right to freedom of expression in a democratic state," Ivo Herzog wrote on his Facebook page, according to the newspaper O Globo. "It was 43 years of struggle for us to prove that he was brutally tortured and murdered. A struggle, led by Clarice Herzog, for truth and justice. We do not find this answer in the country that my father adopted as his homeland. We had to look to the International Courts. Finally, today, the long-awaited sentence came out." 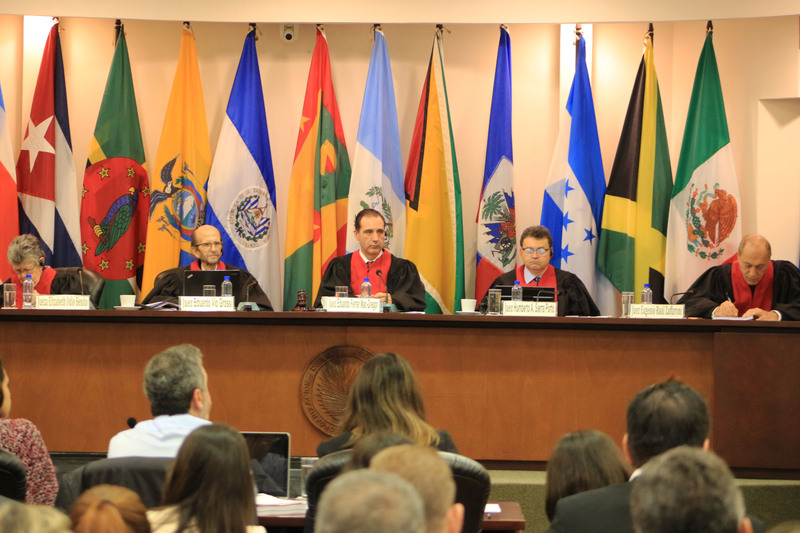 As part of the reparations that Brazil must comply with, the Inter-American Court ordered it to restart and carry out, with due diligence, the investigation of the crime that ends with the punishment of those responsible. Likewise, it must adopt measures so that crimes classified as crimes against humanity do not prescribe. It must also pay US $20,0000 for "consequential damages" to the journalist’s widow, on behalf of all the victims, and in a public act acknowledge its responsibility. Brazil has one year from the release of the sentence to inform the Court how it has complied with this ruling. This is the second sentence of the IACHR Court against a State for the murder of a journalist this year. The conviction against Colombia for the 1998 murder of Nelson Carvajal Carvajal was released on June 6, 2018.